We have been based in Normandy for a few months now and try to take the time to explore the area when we can. As we are both into museums and cultural visits, seeing the famous Bayeux tapestry was on our list for a long time. We were only thinking visiting the museum, we didn’t really know anything about the city itself and went there for a day trip without planning it. 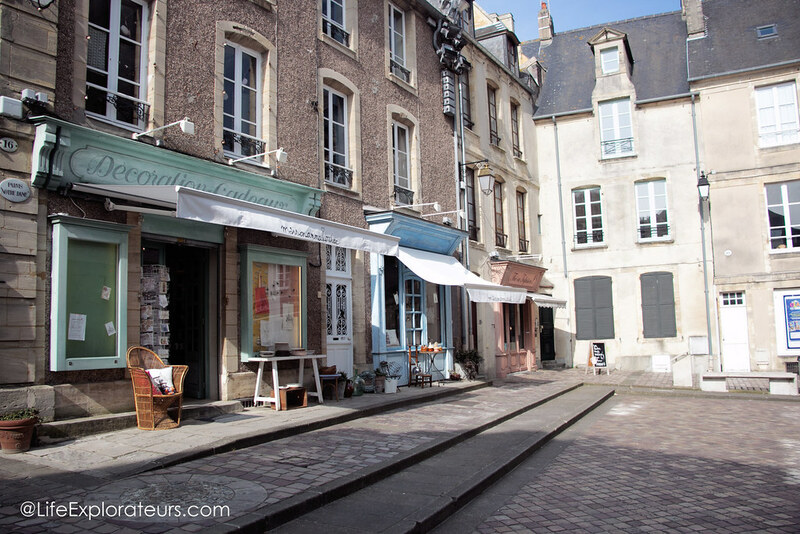 We discovered a pleasant and charming typical city of Normandy. The cathedral is the first thing you see upon entering the city. The way the it is standing out the low buildings and houses is breathtaking. The more you get closer to it the more you are astonished by this roman and gothic masterpiece. And it is as stunning inside as it is outside. We were surprised by the great atmosphere surrounding the city. In the centre, the streets are quite narrow, the buildings are low and it all gives a feeling of being in a peaceful town. There, you are not troubled with heavy traffic, noise and pollution. 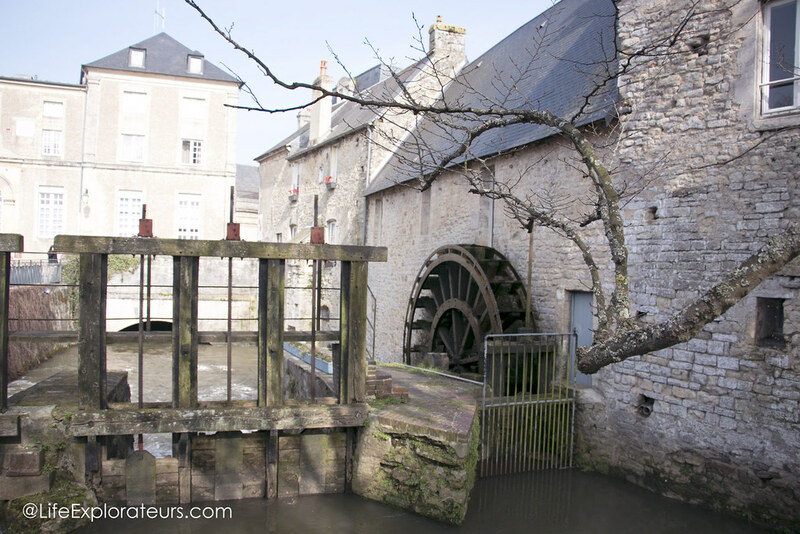 You can enjoy walking alongside the Aure river, stumbling upon historic water mills and houses. As predicted, seeing the tapestry of Bayeux, listed as a Memory of the World by the Unesco, was a moving experience. There are free audioguides available in many languages that give you detailed explanations on the making and the history behind the tapestry. This 70-meters long embroidered linen tapestry tells the story of the conquest of England by Willem the conqueror. It is a priceless source of information on the costumes, the ships and life in general in the 11th century. The exhibition rooms related to the tapestry and its history are upstairs and well documented. 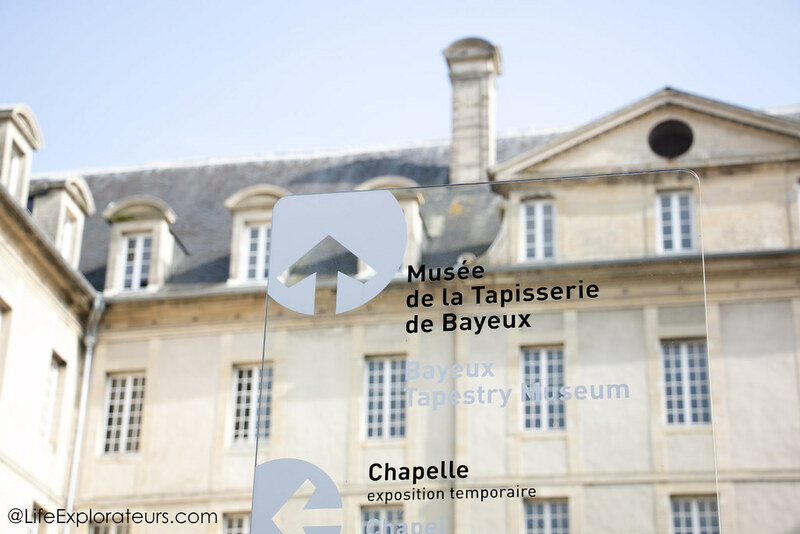 You can buy combined tickets if you want to visit other museums of Bayeux, we combined the Tapestry Museum with the Art & History Museum for 12€ each. We usually like to visit this type of museums as they display the history of the city and its area from Prehistory to the present days. The Bayeux Art & History Museum was a pleasant surprise. Located in the stunning Bishop’s palace, it tastefully displays archaeological pieces, works of art from the Middle Ages to Modern Art, and some fine examples of porcelain and famous Bayeux lace. Sometimes, when you don’t plan your visits, you end up discovering amazing places. We loved our visit in Bayeux, it is a beautiful city with lots to see and do, and definitely recommend it. 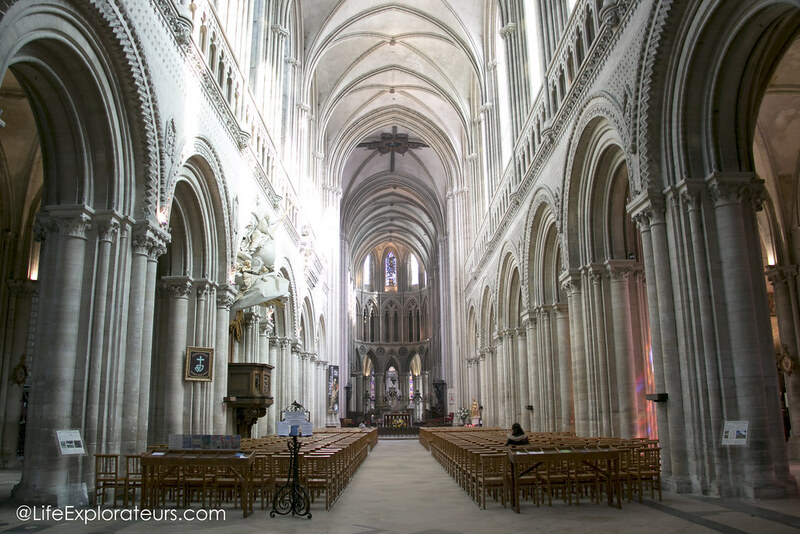 It is a great destination for a day trip if you are in Normandy or even in Paris. See more pictures of Bayeux here. From Caen, it’s a 30 minutes drive. From Paris, it’s a 2,5 hours train ride and 3 hours drive. Charged parking spots available in the city centre, and some free parking streets 5-10 minutes walk from the centre. 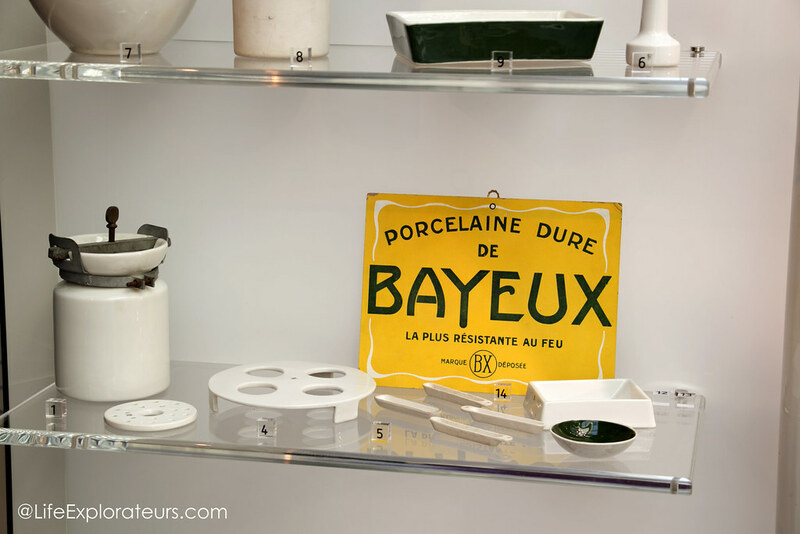 There are no shortage of choice when it comes to museums in Bayeux. To check their opening times, prices and combined tickets, you can have a look at their website here. If you want to get more informations on where to stay or where to eat, you’ll find loads of useful stuff on the tourism board website. Ever been to Normandy before ? What did you visit ? Tell us in the comments below ! Nous avons visité bayeux selon votre chaude recommandation et je confirme que cette ville est superbe. Épargnée des bonbardements lors de la dernière guerre elle est restée intacte. Un retour dans le passé moyennageux! The weeping beech tree in the Bayeux Public Gardens is stunning (make sure you walk underneath it!) and no trip to Bayeux should miss the War Cemetery.